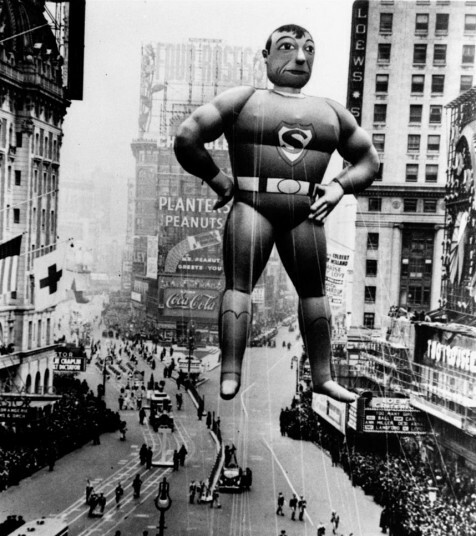 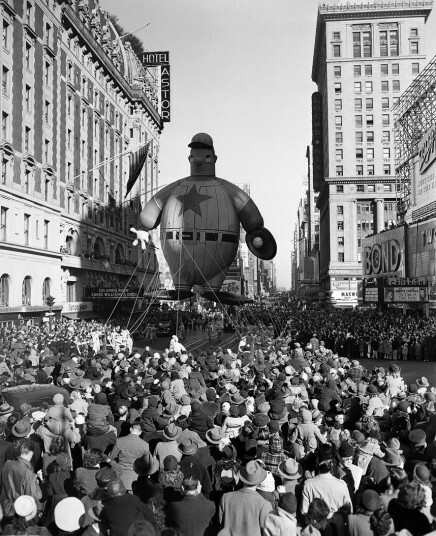 1940: A helium-filled Superman balloon rises over Times Square to lead the Macy's Thanksgiving Day Parade in 1940. 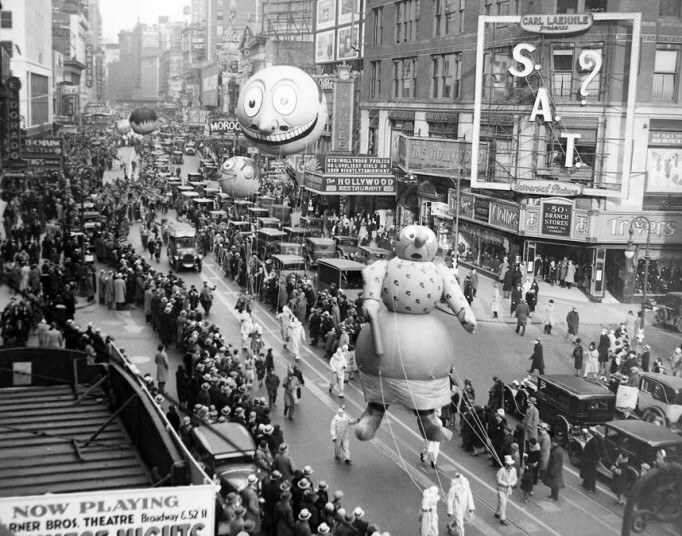 According to Macy's, in 1929, a newly added safety valve allowed helium to slowly seep out of the balloons as they floated above the city's streets. 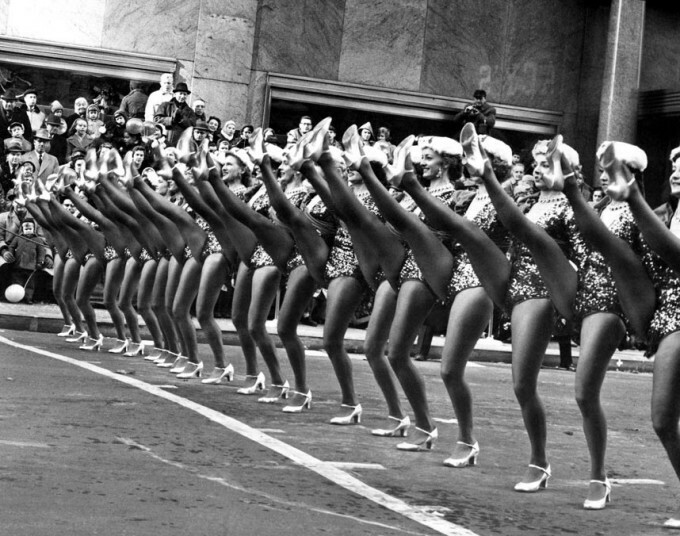 1958: Members of the Radio City Music Hall's Rockettes perform in the annual Macy's Thanksgiving Day Parade in New York. Police reportedly estimated more than 1.2 million people watched the parade in 1958. 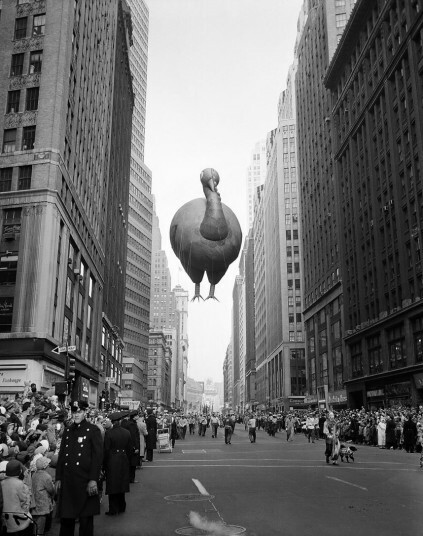 1957: A giant floating turkey balloon squeezes between buildings as the 31st annual Macy's Thanksgiving Day Parade moves down Broadway near 37th Street in New York. The parade's first giant balloons debuted in 1927. 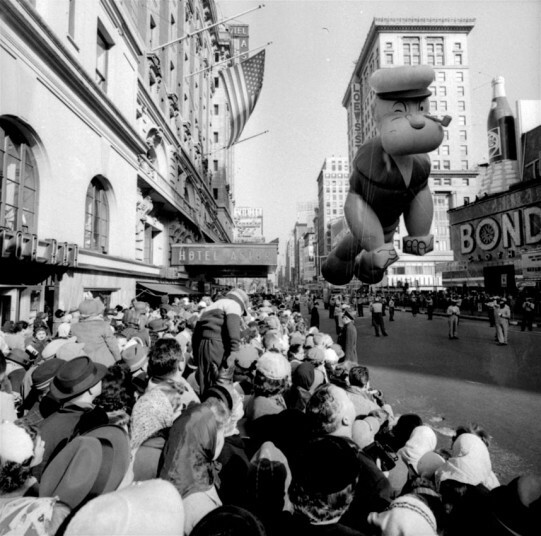 1959: A helium-filled Popeye balloon participates in the 33rd Macy's Thanksgiving Day Parade in Times Square, New York. 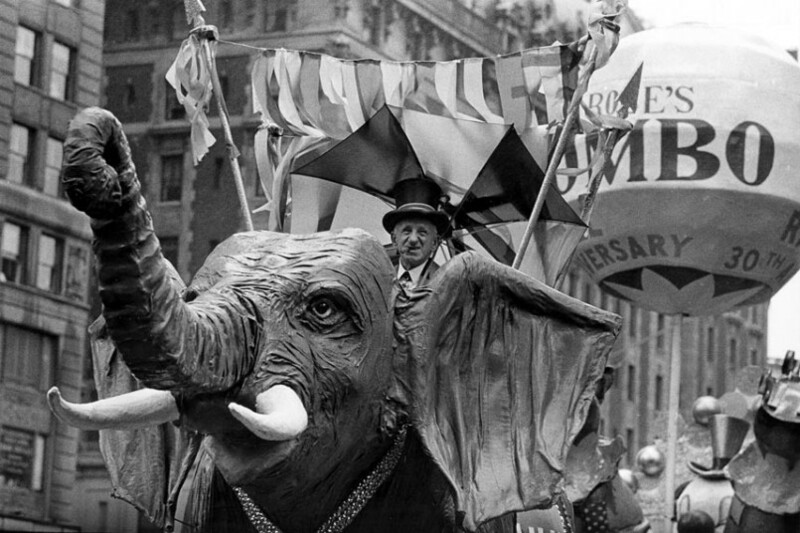 An estimated 1.3 million people watched the parade in 1959. 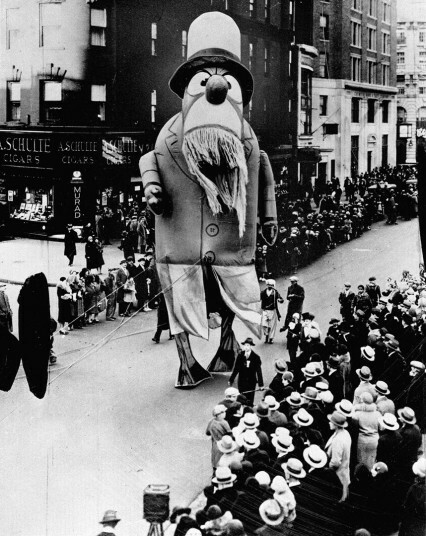 1929: A large balloon depicting Captain Nemo makes its way down the street during the Macy's Thanksgiving Day Parade in New York. 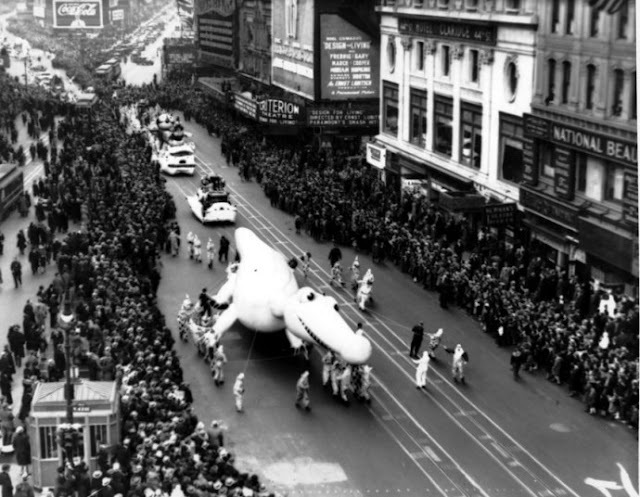 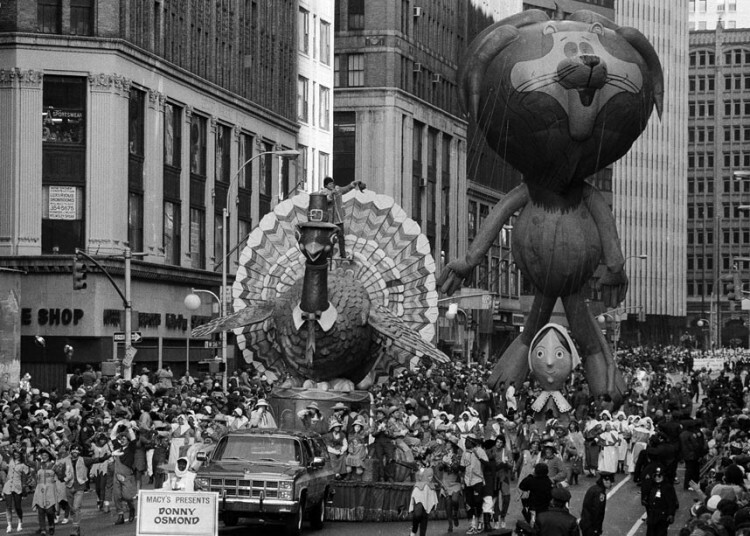 Originally known as the Macy's Christmas Parade, the Thanksgiving Day parade started in 1924.